A lender in eastern China has won approval to establish a new type of bank that will control its other 30 village banks, highlighting a new management model for China’s more than 1,600 village banks. The China Banking and Insurance Regulatory Commission (CBIRC) granted approval on Thursday for Shanghai-listed Jiangsu Changshu Rural Commercial Bank Co. Ltd. to set up a special village bank called Xingfu Village Bank in the southern province of Hainan to manage its other 30 village banks, Changshu Rural said in a Monday statement. 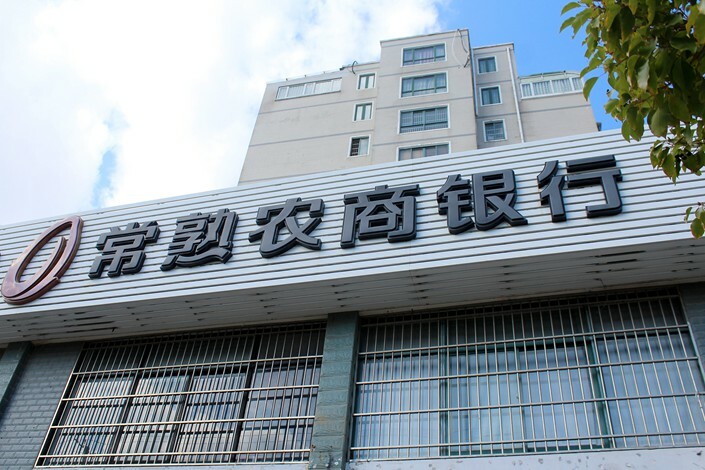 Xingfu Village Bank will hold the complete stakes of 30 village banks based in the provinces of Hubei, Jiangsu, Henan and Yunnan, according to the statement. The new bank will also be able to acquire other community banks across the country. Village banks, also called rural community banks, primarily do business in villages or townships in rural China. Since 2007, they have thrived as part of the Chinese government’s plan to promote financial inclusion. China currently has more than 1,600 village banks, according to the China Banking Association (CBA), an industry group. The establishment of this special village bank came after the release of a pilot work plan in January 2018 by the now-defunct China Banking Regulatory Commission (CBRC). The banking regulator said that a commercial bank that meets certain criteria may establish or select an existing village bank as an investment management arm to hold the shares of all village banks originally held by the commercial bank. Currently, most of the village banks that have been set up by large commercial banks are managed by a designated department or business division within the parent bank. This management model comes with higher management costs because it gets harder to coordinate as more village banks are established, said Ma Xiaoguang, a CBRC official at the time. In addition, this new type of village bank can potentially bring in more money. The new village bank can potentially package all the banks it manages and draw in more investment or even go public, a former head of a commercial bank’s village bank operations department told Caixin. Rural community banks are designed to offer small, low-cost loans to meet the financing needs of rural residents, but the banks are exposed to high levels of risk because most of their borrowers are rural families and small businesses that often lack adequate collateral. China’s village banks held combined total assets of about 1.51 trillion yuan ($225 billion) and total liabilities of 1.33 trillion yuan at the end of 2018, while they booked combined net profits of about 9.93 billion yuan, according to public data from the CBA.